Surprised by the question? This is a very common question before the Great Lent before Easter. But almost no one thinks of sacrificing during the upcoming pre-Christmas season. It is time for peppermint and parties, eggnog and sleigh rides with Christmas carols blaring across the snow, a time to explore neighborhoods filled with Christmas lights. The office party is coming up; time to chose a funny 'white elephant' to exchange. 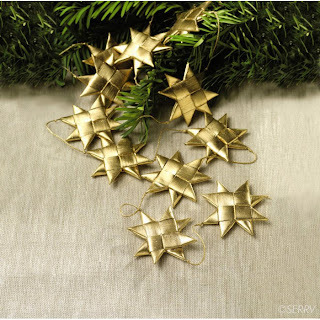 Christmas will be basically over on December 26th with a little quiet until the new year. But Advent, even from a Western perspective, should be a time of preparation, not celebration. We celebrate and feast during the Christmas season...beginning on Christmas Day. In the East, this time period before the Christmas season is called the Nativity Fast, so it is a time not only of preparation but penitence with fasting and increased prayer and spiritual reading. I'm sure that there will be great Advent/Christmas posts around the blogosphere this year. Click on my Christmas, feasting, and fasting labels (to your right somewhere) for my older posts on those subjects. 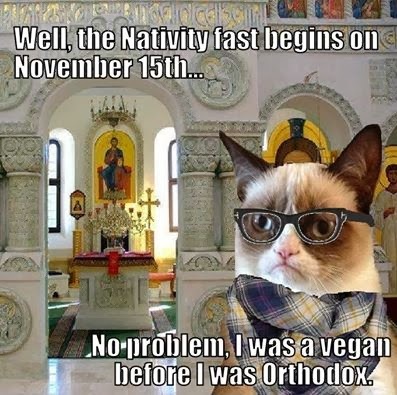 "In the Orthodox and Byzantine Catholic Churches, the period from November 15 through December 24 is a period of Fasting, Abstinence, and Preparation for the Great-Feast of the Nativity of Christ. One of the four major fasts of the year, it is variously called the Nativity Fast, the Christmas Lent, or the Philipine Fast (since it begins the day after the feast of St. Philip). No matter what it is called, however, it is one of most difficult fast periods for people living in the Western world to keep. The pre-Christmas period in America is generally one of parties, social events and general excess. How is the Orthodox Christian to follow the Tradition of his Church, but also live in his native culture? Part of the difficulty lies in our society's inability to understand the necessity of anticipation and waiting. We are so used to instant soup, instant replays, and instant gratification, that the concept of pre-paring for a feast by fasting does not set well. I wish you a blessed Nativity Fast and a wonderful, joy-filled Christmas season and a very happy, holy and safe new year! I hope to 'see' you all back here after Theophany/ Epiphany 2014! Byzantine Catholics and Orthodox Christians begin St Philip's Fast (Advent) on the 15th. Many believers eat practically vegan during this time. To balance medical concerns along with small children's needs, we shoot for meatless except Sunday with Wednesdays and Fridays being vegan. Here's a few ideas for the fast. My goal is to be as simple as possible, leaving more room for family and prayer during this season. And yes, we limit Christmasy celebrations as much as possible until actual Christmas.....the 12 days of Christmas begin on Christmas Day! 1. Always have a pot of beans either soaking or cooking in the crock pot. Soak your beans in water over night and discard the soaking water, rinsing the beans well. Add new water to cook the beans. Do not slat the beans while they are cooking! I've never tried whey or apple cider vinegar to soak my beans, but this blog post explains that it will increase the nutritional value. I'm going to try it the next time I cook beans. 2. Soup! Lentils are quick and easy. Using your pre-soaked beans works just as well. Potato leek soup can be a treat. I've seen some meatless French onion soup recipes floating around the internet...I have got to try that. Minestrone soup is a winner (tomato base soup with kidney beans, pasta, spinach). I feel sorry for soup-hating families. It makes my life easier to cook a good soup along with a salad and bread. There is always enough for lunch the next day. 3. Salad- Daughter#2 made a very yummy salad last night. She grated equal amounts of carrot and zucchini and then added rice vinegar, olive oil, salt and pepper. This kind of salad would keep forever covered in the fridge if you wait to dress it. Another frequent salad is anything cabbage- chopped or grated along with whatever fresh vegetables are on hand. 4. Veggie burgers- reserve extra cooked chopped potatoes along with cooked veggies like chopped green beans, onions and sweet peppers. Mix along with some bread crumbs, vegetable broth and a bit of freshly minced garlic. I use xanthan gum (only a little) as a binder instead of egg whites. You can add some chopped herbs if you like. Trader Joe's makes an Indian-style veggie burger, so I add some curry powder to simulate their product. My version is much more affordable! Cook your patties (make a big meatball, then flatten) on the skillet or in the oven until crispy. 5. Vegetable pasta is yummy. If you find yourself missing the richness of animal products, do not forget to saute your onions, peppers and mushrooms for a more complex taste. Another method is to oven-roast your vegetables (even your garlic!) if the oven is already working. 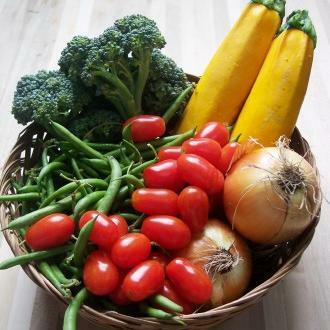 Caramelizing vegetables such as carrots, squash, onions lends that rich taste to dishes that are meatless. 6. We aren't really a peanut butter family (thank God, we don't have allergies, though)- so I stock up on almond butter and sunflower seed butter for fasting times. There is really no better snack than apple slices dipped in almond butter. 7. I limit soy as much as I can in this modern world. We might eat a tofu dish once a week during a fasting time. I use almond or rice milk, never soy. Who knows if soy is even a problem? It just makes me nervous. I need to learn to depend more on beans during fasting times. It is a little boring, but fasting is an exercise to temper our 'passions'- and eating a variety of food is definitely a 'passion' and habit of the modern middle-class American. I hope your St Philip's Fast is holy and beneficial to your family! 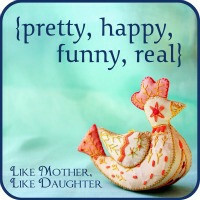 pretty happy funny real- Christmas! "Things going good = I'm good. There's a bit of a paradox here, because I actually think that getting good at what we do helps us be happy and find contentment. real- I've written before about the problem of a 'Made in China' Christmas- did you know that it is not possible to buy lights that are not made in China? Politics and human rights violations aside, it is crazy to have one country with a 100% monopoly on an industry. I'm trying to also work on buying fair trade chocolate and coffee. 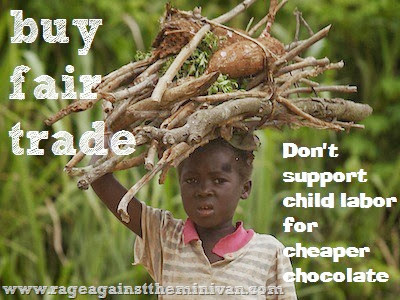 African cocoa is farmed by kids. In the West, there is such an advantage. Spending more money on our chocolate or coffee or Christmas items (or doing without) is a small price to pay to avoid supporting these evil industries.....food for thought! 10) Even if you are a baby, you know it is important to sing at mass. But knowing when to sing can be difficult because the adults are sometimes shy about singing. A simple solution is to sing perpetually. The grown ups will join in if the timing is right. 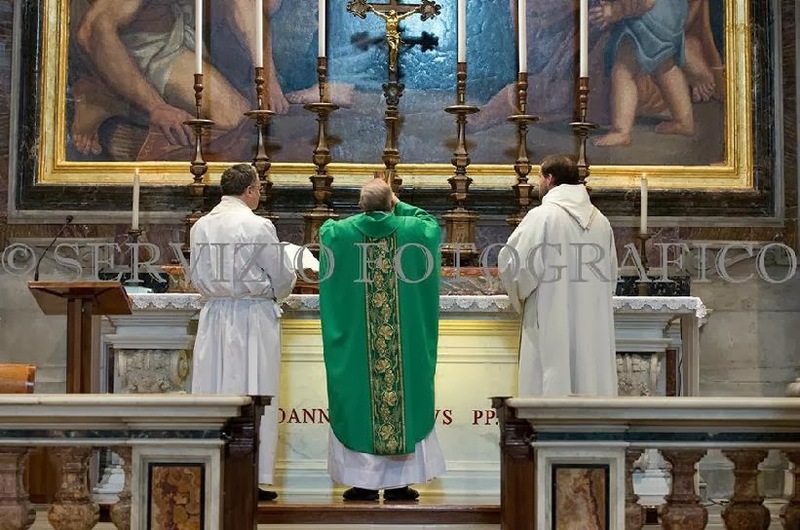 9) Likewise, because adults are very distractable, the best way to make them long to focus on the liturgy is to squirm and grab the noses of any human within range and then go stiff and and alternatively drape sideways and boneless. Constant motion will make them long to give the homily their full attention. go this link for the rest of this funny, true list! 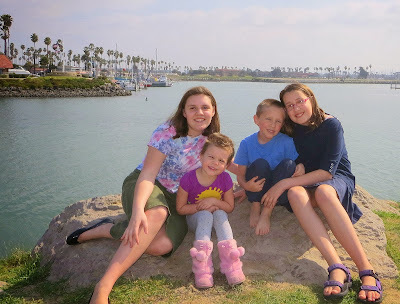 My 14 and 13 year old daughters are 'good' in church; they help the cantor (or actually do all the cantoring if it is necessary) in two languages, they clean up the candles and the pews without being asked, they help at fellowship, they watch the little kids if I am particularly busy- If special friends from far away attend the services, I will make a point to 'take over' little kid duty so they can enjoy girl-time. I still have to remind them to sit up straight or cross themselves or....so my job is not done. But in general, the hard labor of the early years are bearing fruit. Our six-year old boy is serving at the altar. He isn't perfect by any means, but he's fine. The adult altar servers keep him in line, and I appreciate it. Our four-year old girl has her moments, but it has been a year since I've had to leave church because of a melt-down. Occasionally she needs a quick potty break, but it is just for the potty. She does sometimes sit on my lap or the big girls' laps. I'm okay with that. So, mamas of little ones who were extra extra wiggly last Sunday, take heart, Come again. Don't mind the older ladies (only two of them!) who tsked tsked their way through the Divine Liturgy. 1. Sit in the front and insist that the children look ahead. 2. 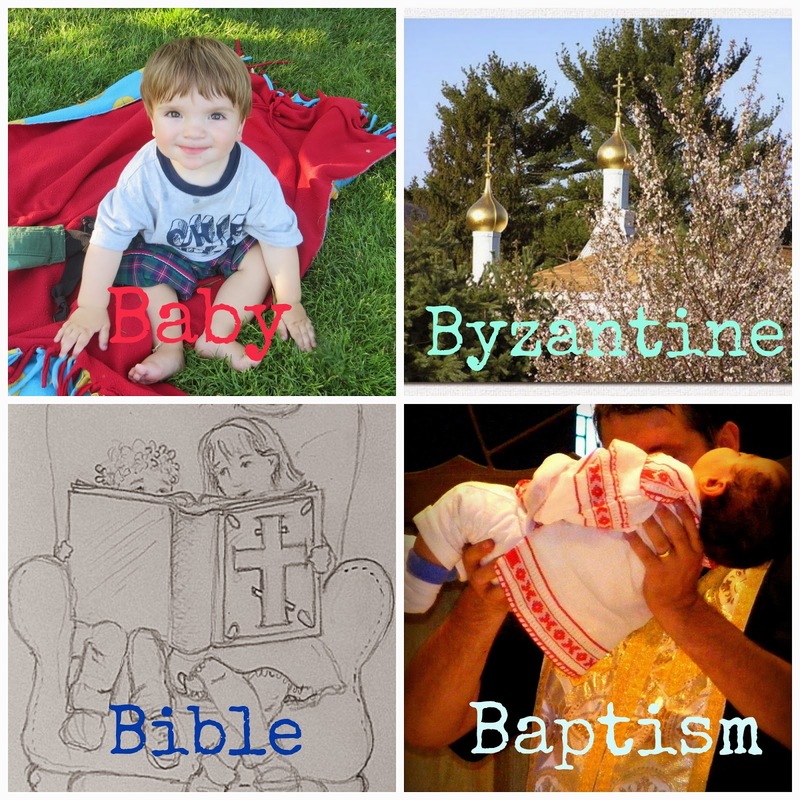 For Byzantine Catholics, decide what your children are capable of: can they cross themselves? sing the litany response? sing Alleluia? 3. Feed them something easy like string cheese and sliced apple right before the service. Then, I promise, they can handle even an hour and a half without ingesting something. Bring a water sippy cup if needed. Personally, I think the age limit for a milk bottle or sippy is two years old. 4. Go potty right before the church service. Don't take no for an answer. 5. It's okay if your child makes some noise. 7. When I had to take out kids, standing in the hall or even outside depending on the church, I wouldn't say much to my screaming kid (I was too angry), I would attempt to continue to sing the responses. I didn't want to reward my child for her/his tantrum. 8. If your child's church shoes are hard-soled, they will make a loud noise banging on the pew and floor when your child is gearing up for trouble. Take the shoes off if needed. If barefoot is okay with Moses, then socks are okay for a two-year old. I really liked using the soft leather slipper-like shoes on a church day for this reason. 9. I've written this elsewhere (probably under the label 'mommyhood' or something), allow a small child 1 or 2 maximum things to hold during church. A beany baby is a good choice. A rosary is just going to make a lot of noise; a woolen prayer rope is a better choice. I have always enjoyed the St Joseph printing house religious books for my small ones to bring into the church. Just the right size. 10. Try to make going to church a joy, not a chore. Many believers would disagree with me, but I don't expect my little ones to do everything in church that I am doing. I will insist that my four-year old stand for the beginning of the Gospel and the creed, but if she then sits down politely, I am not going to drag her back up. I expect my older children to sing everything that the people sing; I just encourage the little ones to sing the simpler portions. I know a church that had a bowl of lolly pops for the children to take after Liturgy along with the blessed bread! Jesus loved the children! and don't worry if you didn't start them young. Start where your family is! My family of origin became Catholic when I was 12; the youngest was 1. Thank God, we are all practicing Catholics, married to Catholics. Just do what you can. For older children, I recommend my parent's methods- no secular music on Sunday, a Catholic Digest and National Catholic Register lying around the house, and as many family dinners as possible. Keep family prayer short and sweet. and also- remember that parents have the 'right' to bless their own children, so keep some holy water or oil handy for night blessings. Every so often, I get an email from a seminarian or a girlfriend or a possible future seminarian who is already married, asking me for advice or my experience. My emailed reply is usually bright and sunny and full of optimism. But marriage is scary; it can go wrong even when it begins well. But as G.K. Chesterton said, "Marriage is a duel to the death which no man of honour should decline." So be cautiously optimistic. 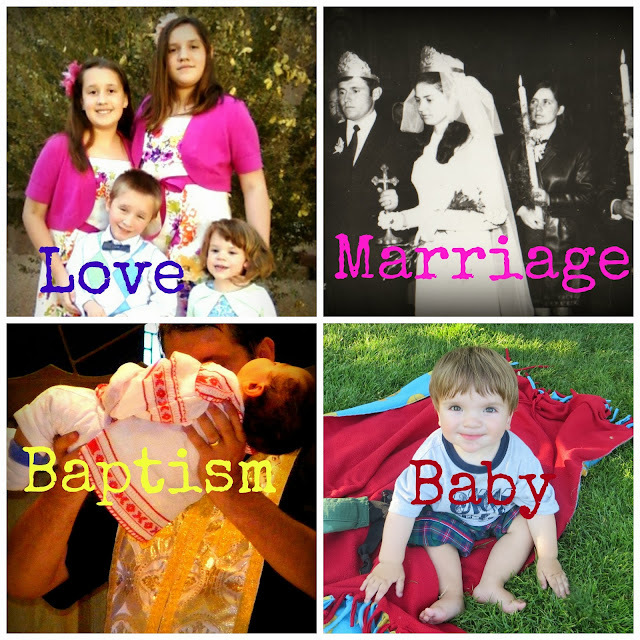 If you can handle the following realities, then maybe marriage to a future clergyman is your vocation! A thick skin is needed as well as a holy life filled with prayer and fasting. 1. 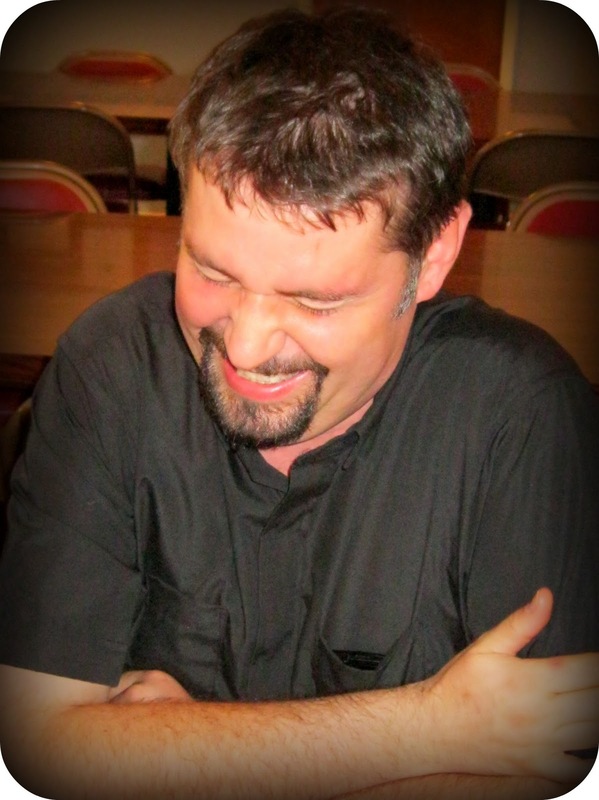 He might not be ordained as a deacon and priest, and he might blame you. The bishop doesn't guarantee ordination when a man starts studying. Perhaps the bishop decides he is not priest material. Perhaps the people don't sing 'Axios!' at the ordination. Perhaps politics swings back to married men even in the Eastern Churches not being permitted to be ordained. And maybe politics starts sending priests to Siberia again. 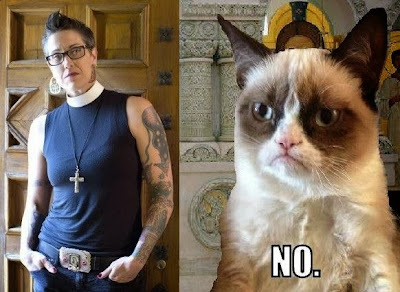 Perhaps the bishop doesn't like you. Well, it is a done deal. Marriage or celibacy comes before any ordination. 2. He will be considered a second-class priest. Even in the east, celibacy and monasticism is considered higher and for the 'kingdom.' 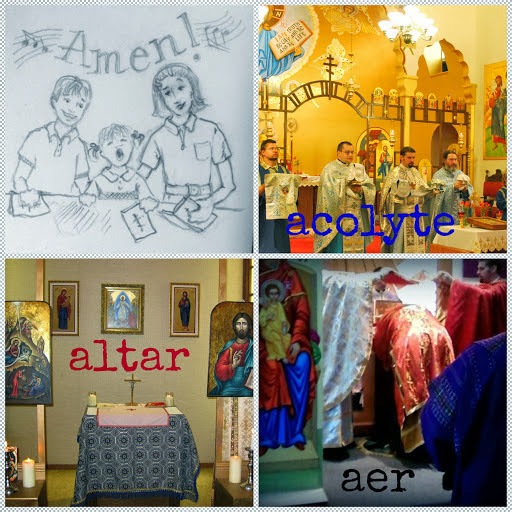 Have you ever wondered why non-monks in the Roman-rite are called 'secular' priests? Prepare yourself for the day that the Roman-rite prayer group potluck waits as long as possible for Fr Celibate to arrive to bless the food. Fr Husband can bless the food if the other does not show. Married priests are just too 'down to earth' for some believers. Look to the cross and take joy in forced humility. Everyone needs this once in a while. 3. You will be hurt by 'church-people.' And most likely, you will end up hurting parishioners as well. We are sinners. We all make mistakes. Hopefully, it is misunderstandings that cause hurt unintentionally, but occasionally you will have to brace yourself for a bit of evil in the church setting. 4. Your children will be hurt as well. This is one place where my 'mama-bear' can manifest. I try and help my children tolerate the foibles of some (for example, an older parishioner with strong opinions on how things are done), but I can't sit and let them get hurt by the occasional person who really wants to cause pain. 5. People will accuse you of being in the way of your husband's priesthood. It happens very rarely, but please be prepared. Maybe some things would be easier if he were a free and easy single man, but there is the issue of vocation.You can respond to hurtful accusations by crying, walking away, smiling and waving or shouting (not a good idea). There will be a day when someone asks, maybe just out of curiosity, if your priest husband shares confession stories with you. I respond, "God forbid!" loudly. 6. You will be isolated.You will be in the minority. I suspect that many priest's wives and even deacon's wives stay under the radar so that they won't scandalize anyone. Part of my own isolation is due to my introverted nature and the fact that I homeschool the kids by day and teach at the college by night. But also- where do Catholic priests' wives go for support? I have tried to communicate with both Orthodox and Protestant clergy wives on group sites and in groups like MOPS and 'MOMS,', but they don't know what to make of me. Also, my theology doesn't match perfectly with theirs, so these groups are not interested. I have tried to connect with Catholic priests' wives, but I don't get responses from either the few Roman-rite wives or Byzantine-rite ones. I am trying not to take it too personally because I know that everyone is busy. I suspect that part of the problem is that us wives do not want to make 'waves' and ruin things for our clergy husbands. 7. You will be shocked at the anti-marriage opinions of even the clergy who do get to be married first- I wrote this post awhile ago as a response to Fr L's insistence that his priesthood would be more fruitful if he weren't married. It hurts. so- this post is a downer- maybe a bit too realistic. I say any 'success' found in this crazy life is case-by-case and whether the couple depends on each other for support. We are grateful that we get to live this life even through our struggles and imperfections. 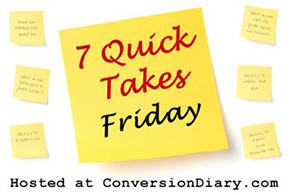 find many more quick takes at conversion diary! What is 'Catholic?' Pope Francis preaches on the importance of diversity in the Church. I am thinking...of the projects that I have been avoiding like meal planning, calendar wrangling and music/video inventorying. isn't it silly that I am avoiding what will make my life easier? I am thankful...for my parents' 46 years of marriage! Happy anniversary! 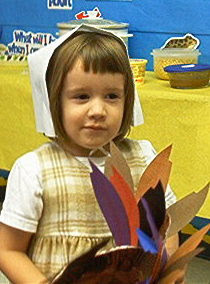 I am creating...preschoolish Thanksgiving art projects- Turkey handprints anyone? I am reading...The Way of Love: The Battle for Inner-Transformation by Dr Rhonda Chervin- I got the Kindle version, so I have to use a notebook to journal the 'homework' that is part of the book. Dr Chervin was a professor of my siblings at Franciscan University. I am hoping...to learn how to live better isolated. This is the most difficult part of being a clergy wife. A few days ago, I posted on Facebook that we were in need of prayers. I didn't give any specific reasons- yes, it was an annoying and vague post. Anyway, many people chimed in that they would be praying for us. I felt better. Well, I felt better until my husband called me from a middle of the week business trip for his hospital job, saying "What is going on?" I guess a woman I barely know from over ten years ago, not on my list of Facebook friends, has been somehow 'following' me on Facebook, saw the prayer request, told her mother who we do know who then called my husband. How dare I ask for general support! Priest's wives are supposed to stay quiet! It is really difficult even for an extreme introvert like I. I really am completely alone. I hope other clergy wives are able to navigate better than I have. I am learning...algebra again through helping my older daughters. Did I really get Bs in Algebra 1 and 2? Around the house...the big girls are memorizing their roles for Two Gentlemen of Verona. A peek into my day...just imagine the sounds of Lego being rattled in a bin while two little kids chose the next piece...and a dog biting a squeaky ball and big girls practicing their en pointe dance to the Beatles "Do you want to know a secret." -and me...tapping away at a little blog post. I'm Byzantine. Can I still celebrate All Saints' and All Souls'? Yes. You guessed it. Byzantine Catholics have different days to celebrate All Saints' Day and All Souls' Day. Eastern Christians of the Byzantine Tradition commemorate all saints collectively on the first Sunday after Pentecost, All Saints' Sunday. and what about All Souls' Day? 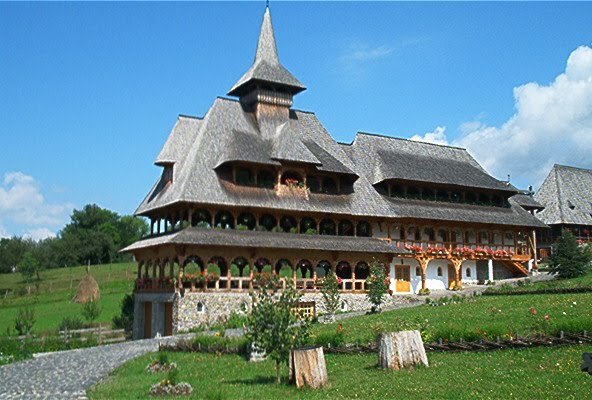 On the day before the Sunday of the Last Judgement (Meatfare Sunday before the Great Lent), and in close connection with the theme of this Sunday, there is a universal commemoration of the dead "from the ages". This is the First All Souls Saturday. 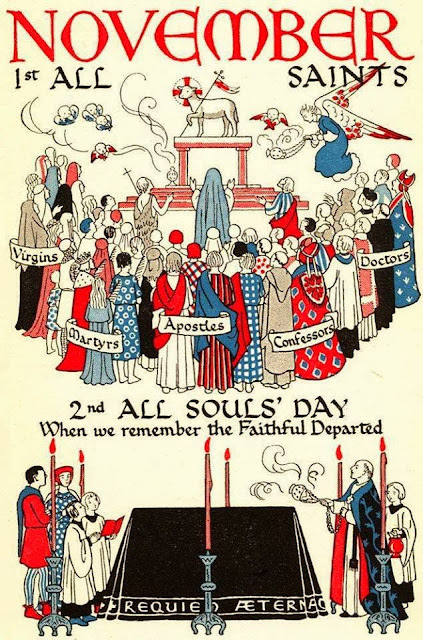 There are additional special commemorations of the dead on the second, third and fourth Saturdays during the Great Fast as well as on the Saturday before Pentecost Sunday. Before we call to mind the Second Coming of Christ next Sunday, we commend to God all those departed before us, who are now awaiting the Last Judgement. In the liturgical celebrations for these Saturdays there is a strong sense of the continuing bond of mutual love that links together all the members of the Church, whether alive or dead. For those who believe in the risen Christ, death does not constitute an impassable barrier, since all are alive in Him; the departed are still our brothers and sisters, members of the same family with us, and so we are conscious of the need to pray insistently on their behalf. At the local parish the commemoration of the dead takes the form of special prayers. These prayers include the reading of the names of all those who have fallen asleep in the Lord. These days are devoted to prayer for departed relatives and others among the faithful who might not be commemorated specifically as Saints. The Divine Services on these days have special hymns added to them to commemorate the departed. There is normally a Parastas (memorial service) served either after the Divine Liturgy on Saturday morning, or after Vespers on Friday evening, for which sweet bread and/or koliva (a dish made of boiled wheatberries and honey) is prepared and placed in front of the cross or icon before which the Parastas is served. After the service, the priest blesses the sweet bread and/or koliva and it is then eaten as a memorial by all present. So, in answer to the Byzantine Catholic who posed the question- of course, you can commemorate these days on the Latin calendar! I did, but I will first remember my own traditions as a Byzantine Catholic. For the health and beauty and truth of the Church, let us not forget our traditions wherever we live. Click on this link for a rough draft of the "B" page of my very-slow-going-alphabet book. The 'google doc' is just a rough draft- artist of "Bible"- your picture will not be cut off in the final stage! 3. The people sitting in my row didn't seem very friendly. 5. The referees made a decision I didn't agree with. Where can I get cheap Christmas lights? Where can I buy Christmas lights not made in China? It is like clockwork. These search terms come up in my stats around October from people wanting to buy either cheap lights or expensive lights not made in China. Here are links to what I have written in the past. I might revisit the issue soon if I find new information. Continue at The Unappreciated Pastor- you will be glad you did! Less Lupus, More Life- What's for snacktime? I can't take a picture of it because it looks so gross. My latest smoothie recipe is not earth-shattering. You can probably find ten versions of it on recipe.com. Blend well and drink in an opaque glass. The color will not be pretty! Added honey or maple syrup is not needed in this one because of the pineapple. Maybe my taste buds are off, but the spinach doesn't ruin the taste; it just seems a bit 'earthy.' Be certain to check your teeth for any tiny bits of greenery! If you are Roman-rite Catholic, you know the drill. It is time for Little John's First Communion. Did he sign up for catechism classes on time? I hope you didn't miss the first meeting! Yes, that's right. That will be two years of weekly classes in the evenings if you are public schooled or homeschooled. And everyone does what the pastor and DRE deemed necessary to receive the sacrament. 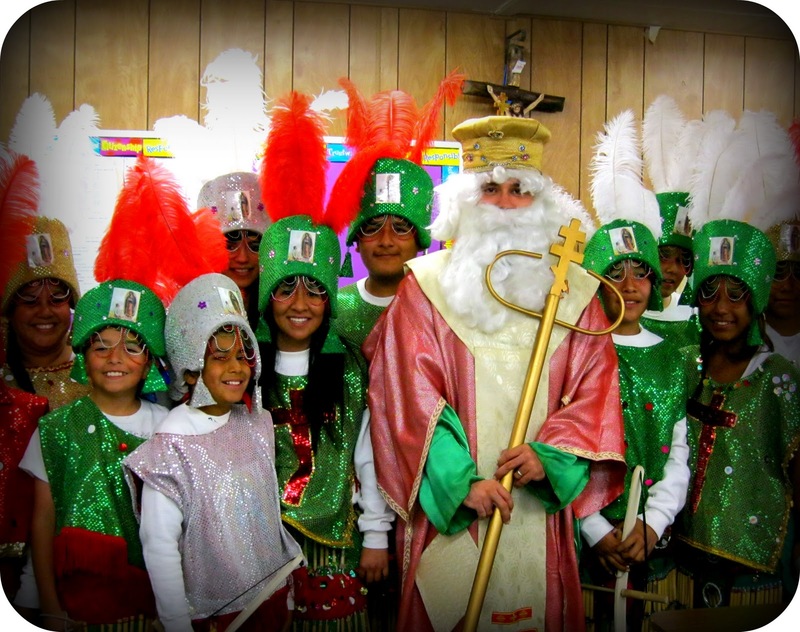 Your lovely family of seven wants to become Roman-rite Catholic? How wonderful! It is too bad that you didn't notify the parish office in time for the first RCIA class. Yes, you will have to delay entering the Church another year. Sorry, if we change the rules for you, everyone will want to skip out on a few classes. That wouldn't do at all. So everyone does what the pastor deemed necessary to receive the sacraments. 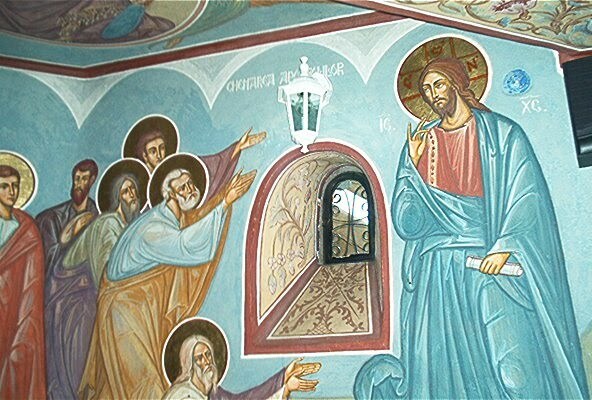 If you are Orthodox Christian, you know the drill, you can't just waltz into any Orthodox church and receive the Holy Gifts of Jesus' Body and Blood. How would the priest know if you had just been to confession? How would the priest know if you had conformed to his eparchy's guidelines for fasting? How would he even know if you are a baptized and confirmed Orthodox Christian? So, the Eucharist will be denied to those who did not make arrangements with father. So everyone agrees and does what the pastor deems necessary to receive the sacrament. Demanding the 'right way to do things' and impressive within their respective traditions, Roman-rite Catholics and Orthodox Christians are this way and can be this way because they are confident in their place in the world. The world isn't perfect. Actually, the world hates Christians of any sort, but Orthodoxy is a state-supported religion to some true super-powers and Roman-rite Catholics are secure in their magnitude and also the culture ties to many, many people. 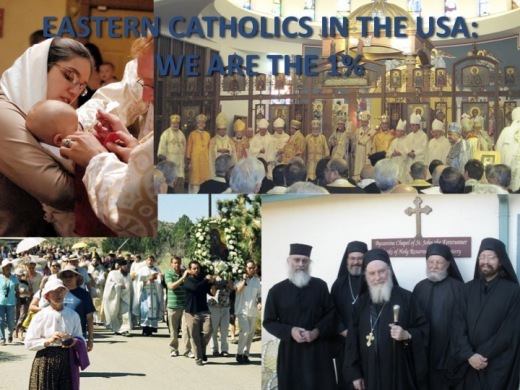 There is still power and numbers behind both Roman-rite Catholics and Orthodox Christians. The Byzantine, with his inferiority complex, sees himself as nothing- as something that Rome can crush and that unity with Orthodoxy will make redundant. The Byzantine welcomes visitors and converts, knowing in his heart that they will most likely leave for the convenient pastures of the Roman-rite or the strict-never sit-vegan-Pope-free waters of the Orthodox. Or perhaps this is all too serious, debating pews or no pews, skirts or pants, veiled or non-veiled, married or celibate- and the visitor decides to save himself the aggravation and just listen to AirOne with his Sunday morning coffee and internet news. The Byzantine doesn't think much of himself or his religion, so even he will be tempted to leave once the priest breathes in the wrong place while singing the Gospel or the priest isn't totally flexible with sacramental prep's time and place (what else is he doing with such a small community?) or the cantor's singing isn't as exquisite as the Orthodox parish or a special new Bible study opens up at the local mega church "The Branch" or his children demand to attend the Roman-rite parish like normal kids. This is anecdotal, but 100% truth. This is the kind of post that upsets my lovely Roman-rite friends who say, "your husband is an amazing priest and we hear that the Byzantine rite is lovely!" But they have never visited...I suppose with my bordering-on-despair-attitude, they don't have a reason to visit. The joy of the Lord is my strength- not my joy. Less Lupus, More Life- Day 7 of "31 Days" series What's for breakfast? Funny, when I decided to write on lupus for this October series, I hadn't had a flare-up in 18 months. I mean, there is the constant fatigue and joint pain, but nothing acute. But I started writing and then I got my classic red mottling on the face. This is why I finally got bangs. Don't you, fellow lupus-dealers, get sick of people asking what is wrong with your face? Ah well...so let's talk about food. I'm not going to photograph my bowl of oatmeal. You know what it looks like. I don't eat it every day, but I should. I feel good and also full after a bowl of oatmeal; most of the ingredients here would be considered 'anti-inflammatory.' I enjoy it with some kind of protein, something naturally sweet and something extra nutritious like chia or flax seed. click here for the page with some preliminary text. I am using Google docs and Picmonkey for now, but I will move on to Publisher when I can find the software. 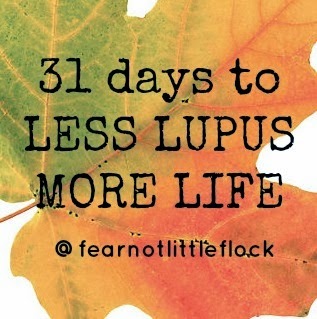 Less Lupus, More Life- Day 3 of "31 Days" series to medicate or not to medicate? Birth control pills lower libido and can increase the chance of stroke and heart attack. But many women feel that they are so necessary to their health that they insist that their university pays for it. Anti-depression medication can increase thoughts of suicide. But many people, young and old, feel so desperate that they turn a blind eye to the side effects. I'm not totally against pharmaceuticals. I used progesterone and heparin during my last two pregnancies. I just hate the idea of living 'under the influence' for the rest of my life. 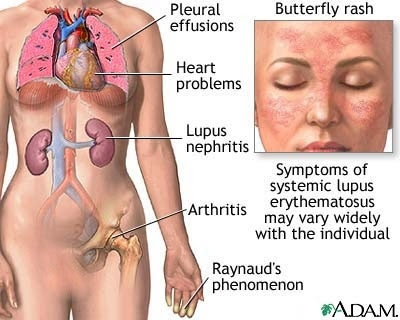 Twelve years ago, I had my first lupus flare. It was the worst flare I have experienced in my life. I didn't know what was happening to me. My joints hurt so badly that I literally had to crawl up the stairs to my classroom to teach my college class. I went to our family doctor, and she prescribed me a month of prednisone. It worked. I was able to walk. Unfortunately, one of the rarer side effects is acid reflux. After only a month of using the drug, I had developed vocal nodules which later caused one of my vocal chords to be permanently paralyzed; I no longer can sing or speak as I once did. I understand the need to relieve symptoms. When I was in so much pain twelve years ago, I knew that I couldn't live that way for long. I consider my semi-remission to be a miracle, and the loss of my singing voice is a small price to pay for my life these past twelve years and two more healthy children. I was so blessed that I don't need to go back on steroids. perhaps in the future I will. For now, I am attempting to maintain my tenuous health through natural means. Three years ago, my doctor had me take anti-malarials for about six months. He insisted that it would help with my chronic fatigue. I didn't feel any difference, not even any of the relatively minor possible side effects. It seems that my body doesn't really respond well to low doses of medication, so I prefer not to take any. When I got a tooth pulled out, it took 4 doses of whatever the dentist was using to numb the area. She was surprised. My first c-section was my first and only epidural; it took the anesthesiologist three doses or attempts to numb me to go ahead with the c-section. Maybe it is the slight redness in my hair....I'm not against trying the drug again. I will do anything to avoid taking prednisone again. Even though I needed the drug when I had the first severe flare, I regret using it. I think it changed my entire body chemistry for the worse. Less Lupus, More Life- Day 2 of "31 Days"
Get adequate rest. People with lupus often experience persistent fatigue that's different from normal tiredness and that isn't necessarily relieved by rest. For that reason, it can be hard to judge when you need to slow down. Get plenty of sleep a night and naps or breaks during the day as needed. Don't smoke. Smoking increases your risk of cardiovascular disease and can worsen the effects of lupus on your heart and blood vessels. wow...I thought that giving myself a month to write this little picture book was generous, but I've been fiddling with the cover for hours, using picasa, picmonkey, google docs, etc....bear with me! It might be interesting, seeing a little book growing day by day. I hope that by the end of the month I will have it finished and I will figure out a way for you to print the finished product from the web officially, not just as a screen capture. Click here to see the pdf of the cover. 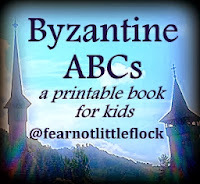 This is the first edition of a Byzantine alphabet book that you can print and perhaps laminate for your children's use. 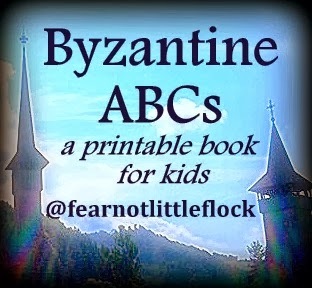 Most Byzantine Catholic children have never seen a book written especially for them. I wanted to fill in the gap with this book which I hope will be the first-of-many. My four children enjoy reading Roman-rite Catholic and Orthodox books, but the former does not acknowledge Byzantine spirituality and the latter does not acknowledge Catholic hierarchy. May this little book be a bridge! 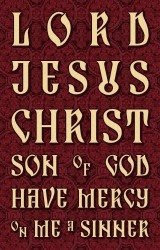 May Christ be glorified! I am thankful...for my mildy awful body, riddled with (mild) lupus, chronic fatigue, the battle scars of having four children...the human body is still amazing even when we don't look like super models! I am going...to force some family to come for the holidays- it is only 900 miles for some of them! I am wondering...why some people are so bitter and unforgiving. 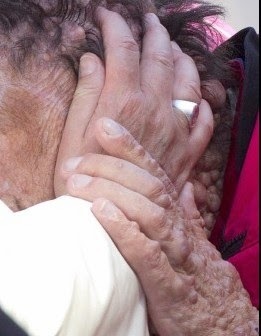 It is not my story to tell- but can you pray for the soul of A and for the consolation of J? They were in the cross-hairs of a lot of evil. I am reading...Flannery O'Connor's "A Good Man is Hard to Find"- my stomach is still queasy! Around the house...big girls are working on Alegebra, Boy is drawing a picture and we are being entertained by Baby Girl's playtime- turning crayons into family characters. I guess boys typically turn everything into guns (not really my boy, he'll turn a crayon into a car) and girls turn everything into dolls.